Over a hundred people are feared dead in the country’s latest air tragedy. An Indonesian military transport plane crashed into a hotel and residential area in the country’s third largest city of Medan on Tuesday, killing dozens of people in one of the deadliest accidents for the country’s air force. The C-130 B Hercules aircraft crashed just two minutes after it took off from an air force base, hitting a busy road. The death toll has been climbing and is now over 50. Though cause of the crash is still unknown, Air Force chief Air Marshal Agus Suprianta revealed that the pilot had told the control tower that the plane needed to turn back because of engine trouble and was in the process of returning back to the airport. “The plane crashed while it was turning right to return to the airport,” he said. Supriatna said there were 12 crew and more than 100 passengers on board the plane, which took off from the capital Jakarta. However, it was not clear how many people were on board when the plane crashed, since it made two stops along the way in Pekanbaru and Dumai. Indonesian military spokesman Maj. Gen. Fuad Basya confirmed that the aircraft had been inspected and cleared to fly before taking off. 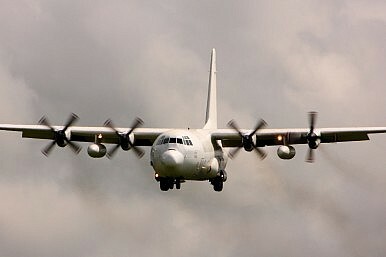 Nonetheless, in response to the incident, Indonesia’s air force has temporarily grounded its remaining eight Hercules aircraft, which were received from the United States. This is not the first time a C-130 Hercules plane has been involved in a deadly crash. In May 2009, a plane crashed into homes, skidded into a rice paddy and erupted in flames, killing nearly 100 people. As was the case then, the crash is likely to raise questions about the aging plane’s record and the air force’s underfunded capabilities more generally. Beyond the immediate incident, Indonesia has had a chronic problem with aviation safety. In April, as The Diplomat reported, an F-16 fighter jet malfunctioned and caught fire during a ceremony to honor President Joko “Jokowi” Widodo (See: “Will Indonesia’s Fighter Jet Malfunction Affect its Defense Policy?”). In response, Suprianta ordered the temporary grounding of the F-16 fleet for evaluation due to safety reasons. Last December, in a more high-profile civilian incident, AirAsia Flight 8501 crashed into the Java Sea with 162 passengers on board en route from Surabaya – Indonesia’s second most populous city – to Singapore.